How Do They Make Perfume? Fragrance Extraction Methods. 3 minute read. Written by Fiona Cooke in 820 words. Does someone have to collect lots and lots of flowers? Well yes, Kinda. This is known as fragrance extraction. “Aromatic essences” can be obtained from flowers, leaves, woods, roots, fruits, seeds and resins. The job of the chemist is to get the essence from the source. Which way they do it simply depends on which way a flower/plant etc. will yield the most oil. This is the simplest method and used on citrus fruits (you can do it with other plants, but it is too costly and time consuming). Pressing, squeezing or lacerating the fruit removes the oil from the glands. This is mostly done in a pelatrice – which is basically putting the citrus fruits into a hopper and it grinds at them with metallic or abrasive methods to release the essential oils. There are a few different methods employed here (water, water and steam or just steam distilling). Suffice to say, you are generally using steam to boil the essential oil from the plant tissue. A vapour mixture of water and oil is condensed and then separated to give essential oils. In the flavours and fragrance industry, steam distillation is the most widely accepted distilling process because it is a much more controllable process on a large scale. If you are going to be in Paris anytime soon, you can visit Fragonard’s Musee du Parfum beside Opera (9, rue Scribe). This is one of their perfume boutiques but has a tiny museum upstairs which still holds the old-fashioned vats, and you can see how the steam distillation methods were used. The reason I say anytime soon, is because Fragonard are currently constructing a much larger museum around the corner on Square de l’Opéra Louis Jouvet in Paris with an opening date scheduled for June 2015. It will be dedicated to perfume, from the history of perfume, harvesting and processing, right through to the bottling and final production. The best way to spend an hour or two in Paris! The mostly widely used and cost effective method in perfume business is hot-solvent based extraction. The plant material (petal or leaves) are dunked into volatile solvents like petroleum ether or hexane and over the space of a few hours, the scent is absorbed into the solvent, they are boiled down and reduced so only the thick scented concrete or absolute remains. I left this one til last because it is the most romantic one and still feels like ‘olden days’ perfume making! This is used mostly with jasmine and tuberose, which continue to give off fragrance even after they are picked. An odourless fat is spread in a thin layer base on glass plates. Flower petals are placed on the fat for about 24 hours; then these petals are delicately removed, and a new layer of petals are put on top – this happens over the course of 8 to 10 weeks. The fat is absorbent and ‘soaks up’ as much of the scent of the flowers as possible. The fat absolute or ‘pomade’ is scraped off and put into containers. Depending on how many time fresh flowers were added, it has a number. So pomade 36 was a fat that had fresh flowers laid on it 36 times in the process (the maximum amount). The fat is then saturated with flower oils and then alcohol is then used to separate oil and fats. The whole process is very delicate and beautiful and is all still done by hand. 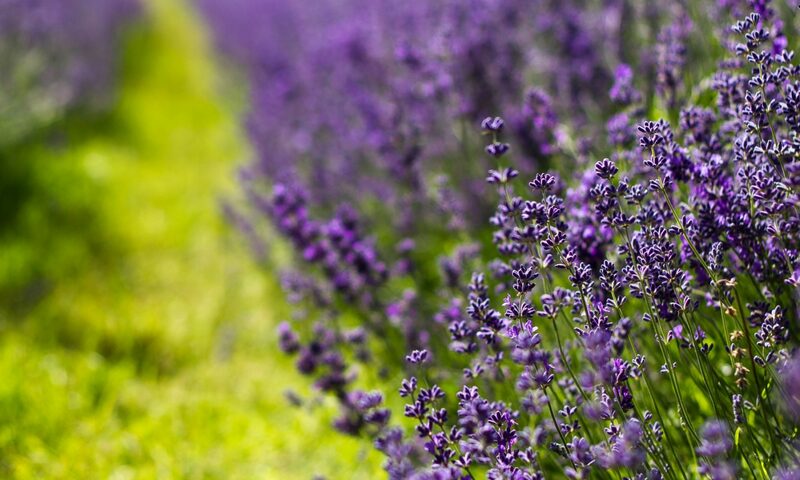 If you are interested in seeing this in action, the only place enfleurage is carried out today on a large scale is Grasse in France – known as the ‘world capital’ of fragrance. This process has been mainly taken over by Supercritical C02 Extraction where they use highly compressed carbon dioxide to extract the oils from the plants. Supercritical C02 Extraction is the newest of these solvent extraction technologies, and the most effective and efficient at extracting the nearest odour to the original flower than other methods. What method? What ‘essence’ does it make? Newer ways to extract the entire scent molecule or mathematical ‘makeup’ of something is by using Bell Jar or headspace technology which is really interesting (if you are a complete perfume nerd) and needs a whole other blog of its own. I hoped this helped make it a bit easier to understand where your perfume comes from. If you liked this post and want to learn more stuff like this, then please sign up to our monthly newsletter.